Even if you can’t pronounce it, you should know what it is. What does it take to become one of the largest companies on Maui? For Steven Schorr, it took six greenhouses, 15 employees, and a 6,000-year-old idea. Schorr is chairman and CEO of Bioponic Phytoceuticals, a $43 million company that was the first from Maui to go public in 37 years (since Maui Land & Pine in 1969). The company has created a revolutionary technique using distillation, the evaporation and subsequent collection of a liq uid by condensation as a means of purification. Simply put, liquid is heated, becomes vapor, cold water is added, and purified water is the result. This produces unique, exotic alternative medicines for ailments large and small. 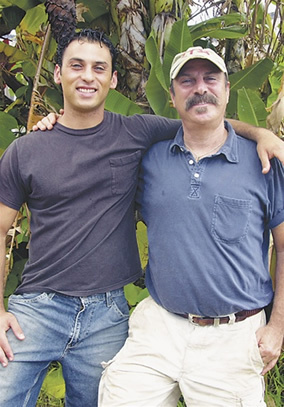 Schorr said his greatest influence on Maui was the late Auntie Mahi Poe Poe, a kupuna raised in the old Hawaiian tradition and, as Schorr tells it, a visionary. “She came to my door, and said that a kupuna came to her in her dreams to say that she had to work with me,” he said. In 2003, they created a line of Auntie Mahi Poe Poe la‘au lapa‘au tonics together, and Schorr provided thousands of bottles to her clinics for free. MAUI, Hawaii (Sept. 18, 2006) — A nasal spray is the latest line of products developed by a Phytoceuticals company to alleviate nasal dryness specifically related to airline travel. Bioponic Phytoceuticals, Inc. (PINKSHEETS: BPYT) creates “all natural” products for alternative medicine to cut out the side effects of traditional medicines. In addition, the company provides products which promote herbal healing, skincare, tonics, and herbal remedies. Through an online ordering process, customers can quickly get the products they need, in an all natural form. Bioponic Phytoceuticals, Inc. (Bioponic or the company) announced that new rules established by the Transportation Safety Administration (TSA) on Sunday August 13, 2006 allows for the exemption of Flight Spray from the recently established ban on passengers carrying liquids onto flights.